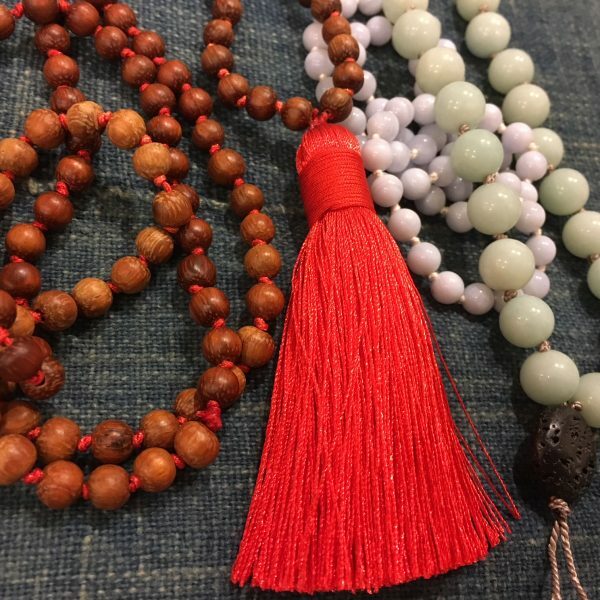 Prayer beads are bringing us joy this spring. Beadworks has an amazing selection of gemstone rounds for making prayer beads. We carry 4mm through 10mm rounds. There is also an endless selection of charms and focal beads for counter beads and guru beads.